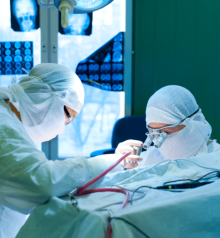 Microsurgery is utilized in many aspects of neurological surgery. Microvascular anastomoses are required when EC-IC surgery is performed. The clipping of aneurysms is performed using a microscope. Minimally invasive spine surgery utilizes these techniques. Procedures such as microdiscectomy, laminectomy, and artificial discs rely on microsurgery. Minimally invasive endoscopic surgery is utilized by neurosurgeons. Techniques such as endoscopic endonasal surgery are used for pituitary tumors, craniopharyngiomas, chordomas, and the repair of cerebrospinal fluid leaks. Ventricular endoscopy is used for colloid cysts and neurocysticercosis. 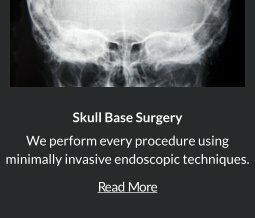 Endoscopic techniques can be used to assist in the evacuation of hematomas and trigeminal neuralgia. Repair of craniofacial disorders and disturbance of cerebrospinal fluid circulation is done by neurosurgeons, and depending on the situation, maxillofacial and plastic surgeons. 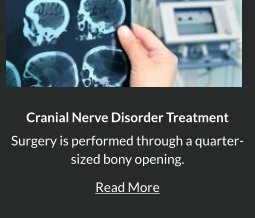 Conditions such as chiari malformation, craniosynostosis, and syringomyelia are treated. This is called cranioplasty. Robert Louis, MD, a fellowship-trained Orange County Neurosurgeon, is currently the Director of the Skull Base and Pituitary Tumor Program at Hoag Memorial Hospital in Orange County, California. 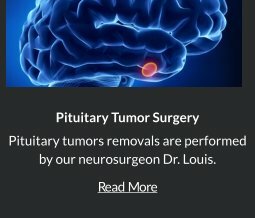 Dr. Louis has the expertise Brain Surgery, particularly in endoscopic and minimally invasive treatment of benign and malignant brain tumors, sellar and parasellar tumors and skull base tumors. 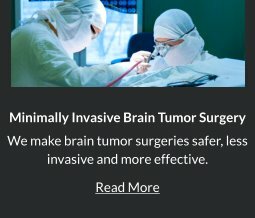 He applies the same skills and techniques of brain surgery to Spine Surgery. 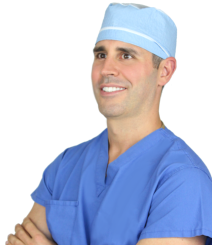 Dr. Louis specializes in minimally invasive neurosurgery in Orange County for the treatment of Brain and Spine conditions. For appointments, please call (949) 383-4185 or Contact Us.